Women are often most vulnerable to gum disease during puberty, pregnancy and menopause. According to a literature review performed by researchers at Case Western Reserve University School of Dental Medicine that examined several studies, the link between gum disease and female hormones is quite strong. The hormonal fluctuations associated with puberty, menstruation, pregnancy and menopause are associated with changes in the oral environment. A flood of hormones can increase inflammation in gum tissue and leave it more sensitive to bacteria. The irritated gum tissue allows the bacteria that are present in your mouth to access your bloodstream. Once oral bacteria have spread throughout the body, they can cause inflammation and other health problems. Women may have a harder time becoming pregnant, they may be more prone to miscarriage and their babies may suffer from IUGR, or intrauterine growth restriction. When women are nearing or in menopause, they tend to be more likely to suffer from severe bone loss. The review, which was led by associate clinical professor Charlene Krejci, closely examined nearly 100 studies and more than 60 journal articles to identify the link between gum disease and major health problems in women. She determined that while women tend to have stricter dental hygiene regimens, they are still more likely to suffer from complications associated with gum disease. Our West Hollywood dentist recommends that women pay special attention to their teeth and gums during times they may be more susceptible to hormone fluctuations. 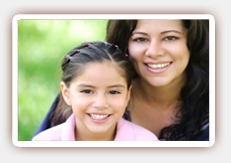 Regular dental checkups and professional cleanings are also essential. Contact us today to schedule your next appointment.